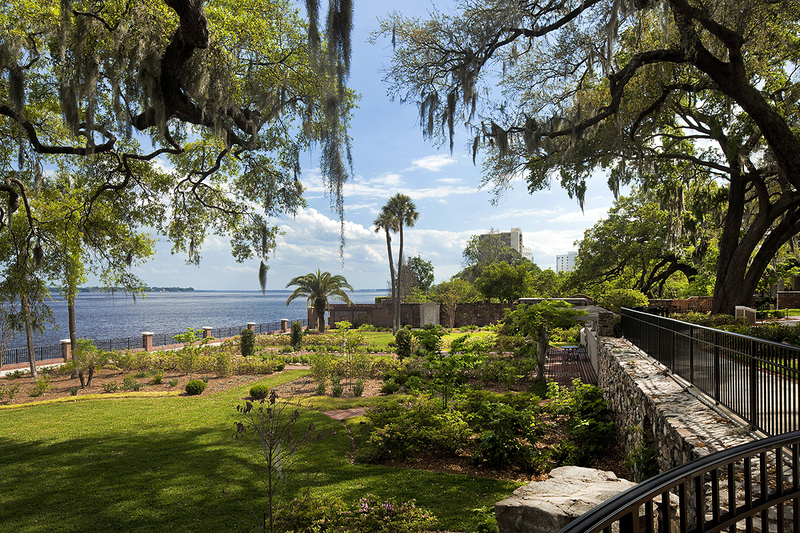 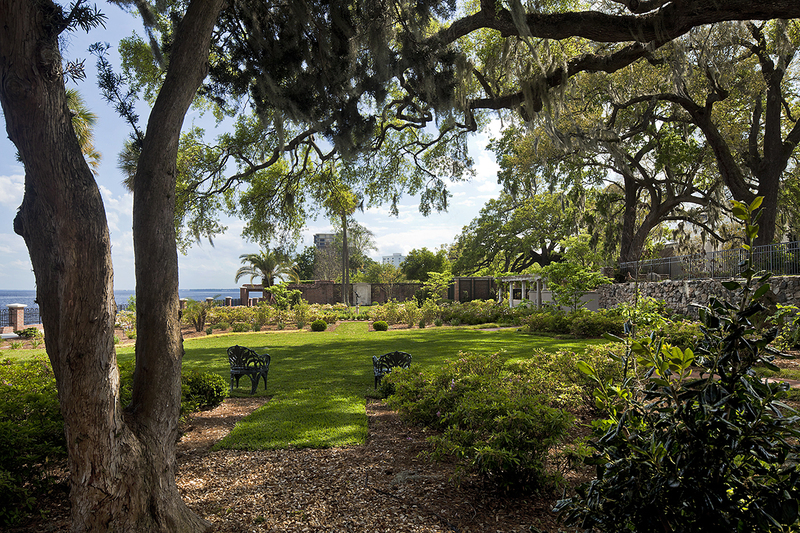 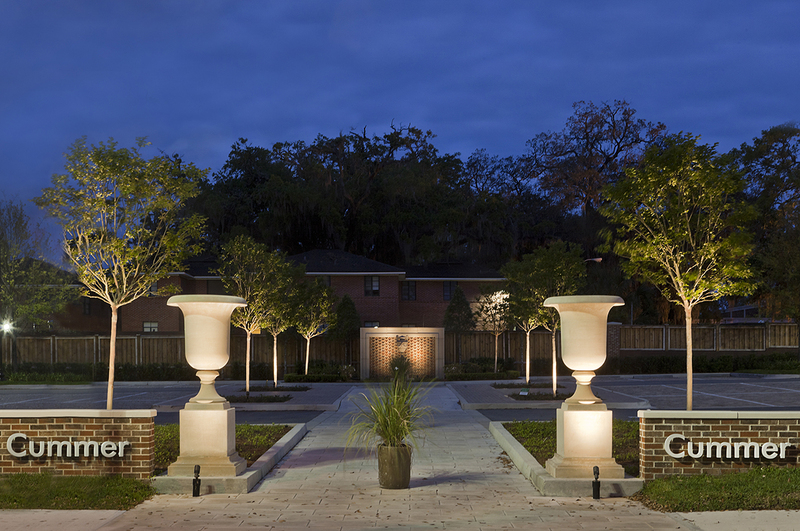 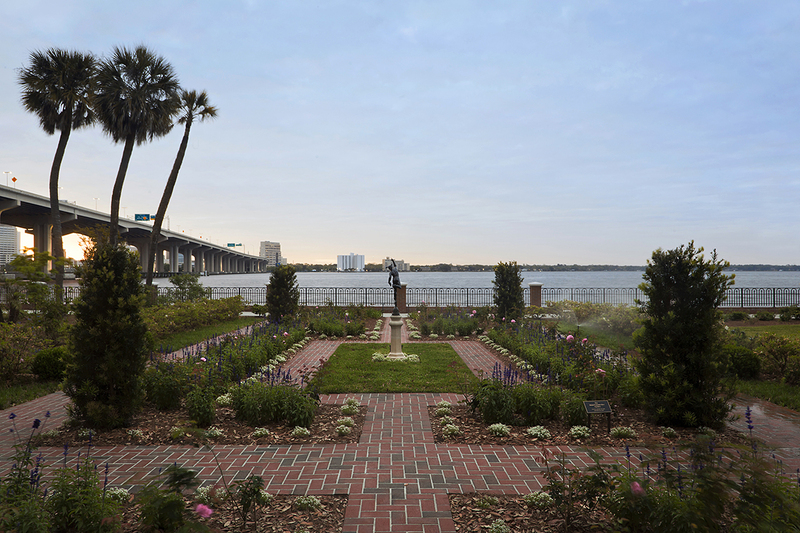 The Cummer family’s legacy is the gift of the arts and gardens for the people of Jacksonville. 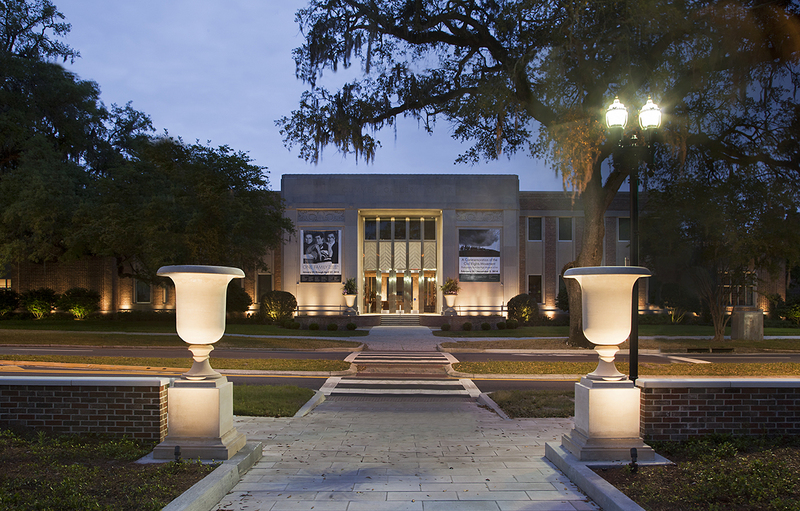 The museum campus had been expanded several times over the last fifty years. 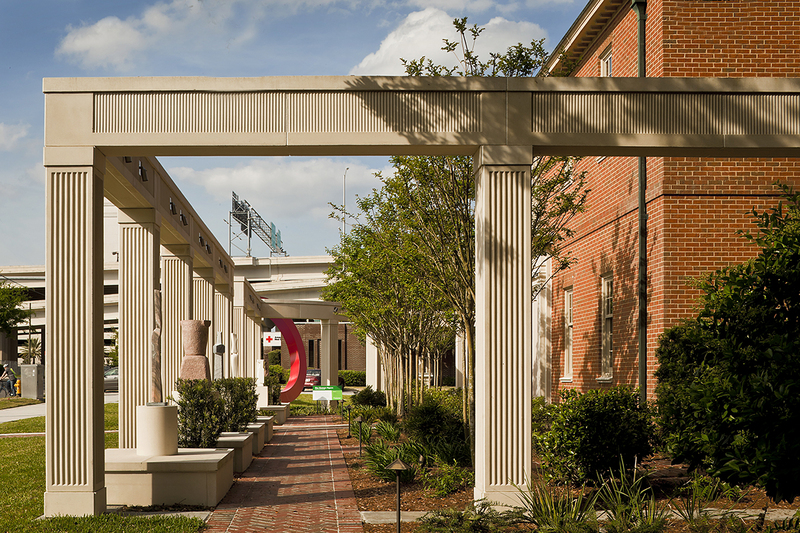 Adaptive reuse of acquired buildings for art education and a gravel parking lot separated by a major street left the campus undefined and disconnected. 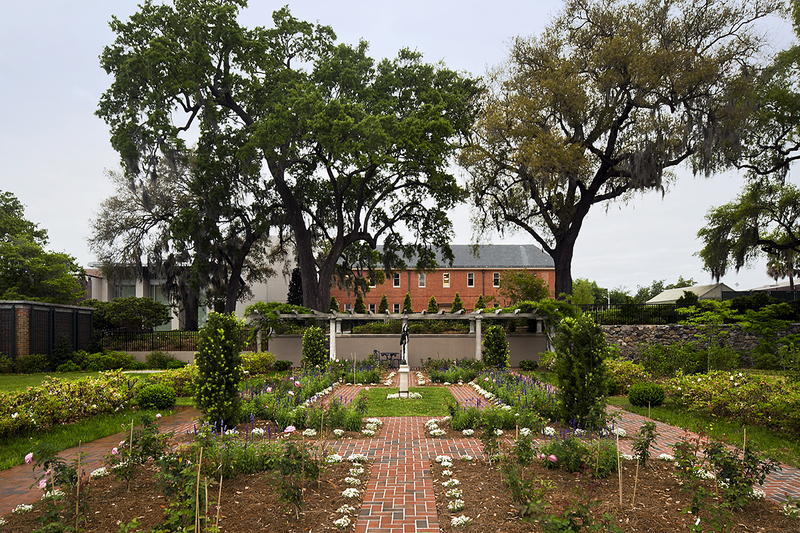 This design effort unifies the campus and gives it an immediate identity as a place for art and gardens along Riverside Avenue. 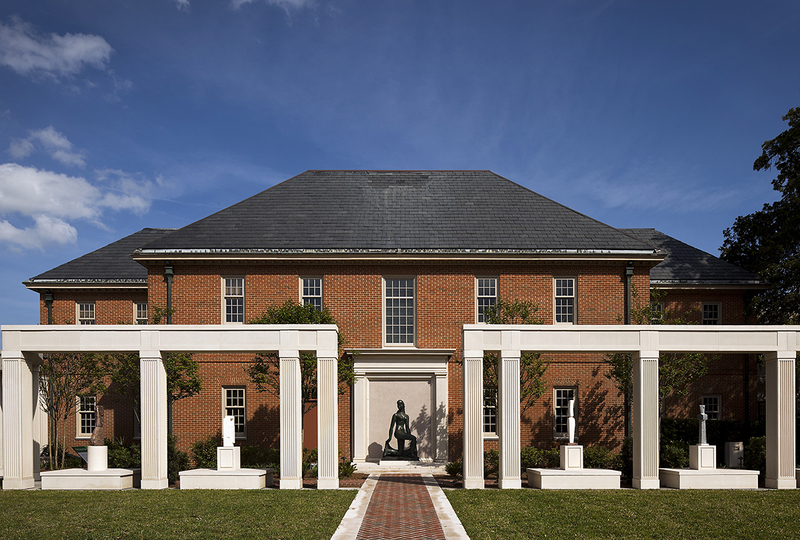 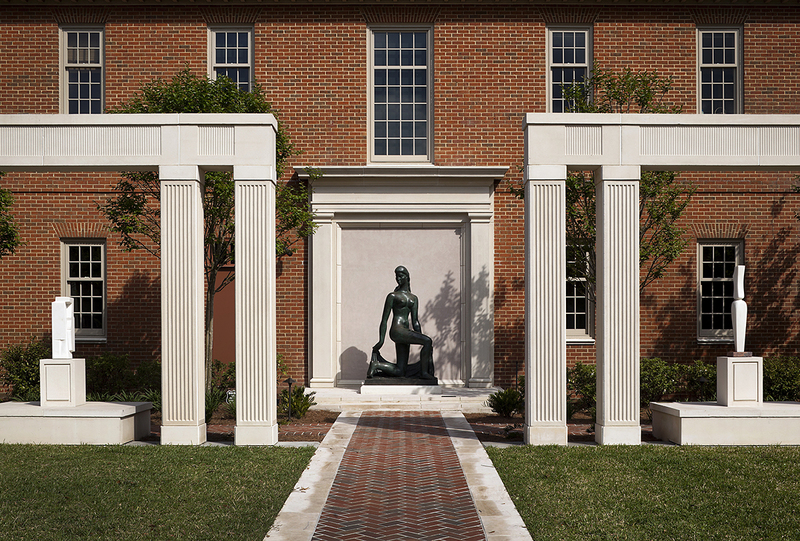 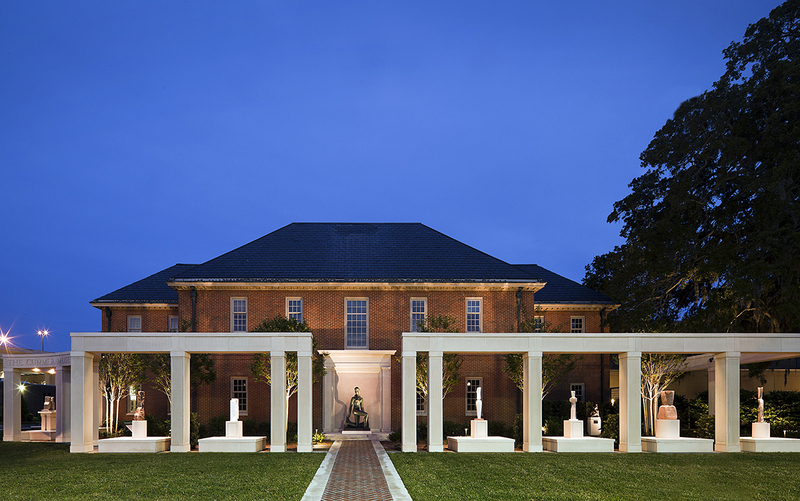 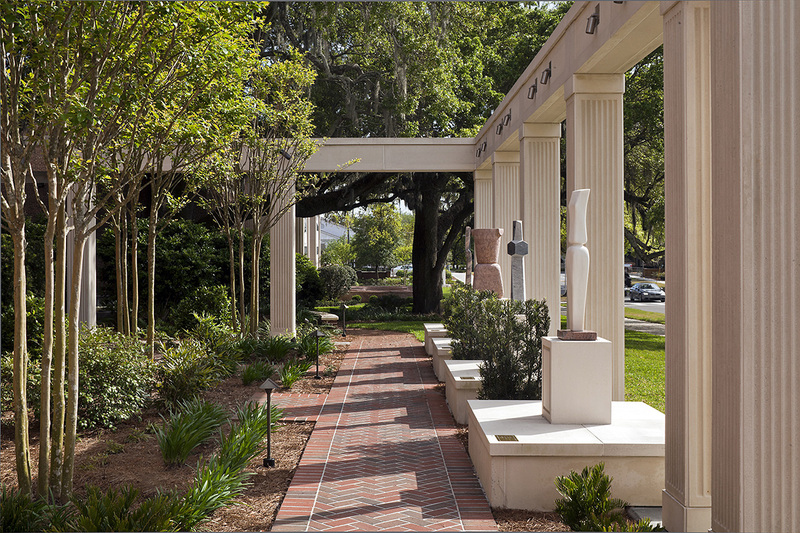 A sculpture garden at the north end of campus complements the predominant architecture of the main building and brings both art and gardens to the public. 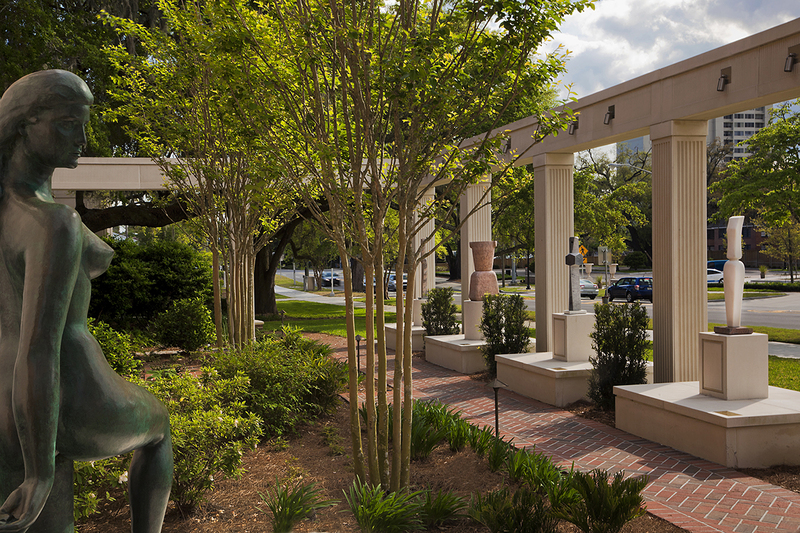 The museum café was expanded outside under the great live oak to enliven the public realm. 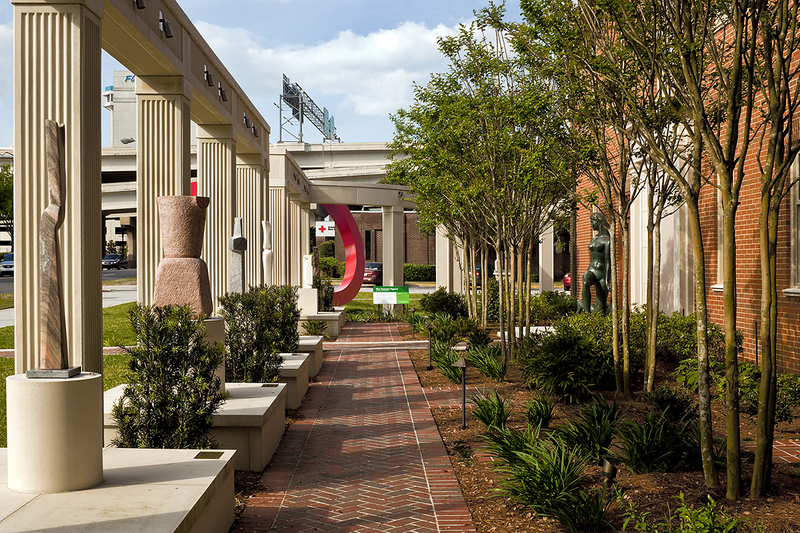 The parking lot was transformed with landscaping and a grand pedestrian limestone walkway on axis with the main entrance. 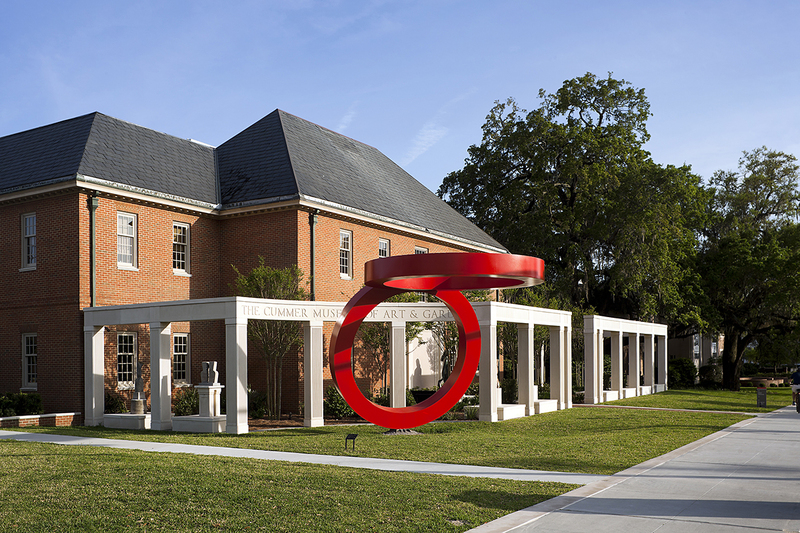 Public art is displayed on the lawn, further reinforcing the museum’s identity.